The 11-page “committee opinion” on “Optimizing Postpartum Care,” released today by the American College of Obstetricians and Gynecologists, represents a fundamental reimagining of how providers, insurers and patients can work together to improve care for women after giving birth. “To optimize the health of women and infants, postpartum care should become an ongoing process, rather than a single encounter, with services and support tailored to each woman’s individual needs,” the committee opinion states. The days and weeks after childbirth can be a time of particular vulnerability for new moms, with physical and emotional risks that include pain and infection, hypertension and stroke, heart problems, blood clots, anxiety and depression. More than half of maternal deaths occur after the baby is born, according to a new CDC Foundation report. “You may have a woman that has asthma, is having problems lactating, and is obese, and when they come to see you at six weeks, we have missed the boat here,” Auguste said. Under the new ACOG guidelines, women would see their providers much earlier — from within three days postpartum if they have suffered from severe hypertension to no later than three weeks if their pregnancies and deliveries were normal— and would return as often as needed. 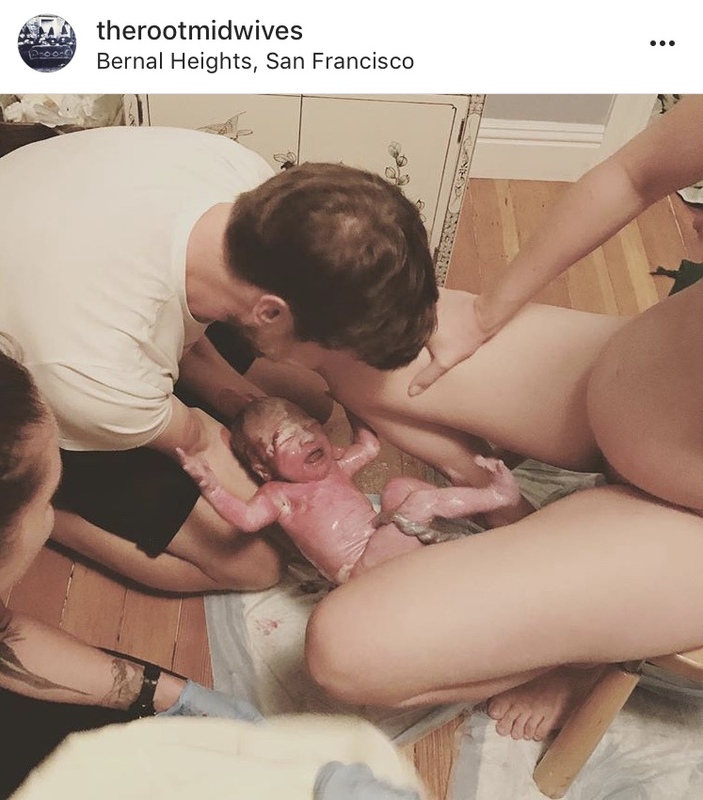 Depending on a woman’s symptoms and history, the final postpartum visit could take place as late as 12 weeks after delivery and ideally would include “a full assessment of physical, social, and psychological well-being,” from pain to weight loss to sexuality to management of chronic diseases, ACOG says. Earlier, more frequent and more individualized care could be a step toward addressing the stark racial disparities in maternal and infant health, said ACOG’s outgoing president, Haywood Brown, who has made reforming postpartum care one of the main initiatives of his term. Black mothers are at higher risk for many childbirth complications, including preeclampsia, heart failure and blood clots, and they’re more likely to suffer long-lasting health consequences. They also have higher rates of postpartum depression but are less likely to receive treatment. Regardless of race, for women whose pregnancies are covered by Medicaid, the postpartum period may be their best opportunity to get help with chronic conditions before they lose insurance coverage. The new guidelines urge doctors to take a proactive approach, helping patients develop a postpartum care plan while still pregnant, including a team of family and friends to provide social and other support. According to ACOG, one in four new mothers surveyed recently said they didn’t even have a phone number of a health care provider to contact with concerns about themselves or their babies. “The postpartum period has become a priority,” said Debra Bingham, a professor of nursing at the University of Maryland and executive director of the Institute for Perinatal Quality Improvement who has participated in many of these initiatives. Some providers, including Brown, who is affiliated with Duke University, are already incorporating some of ACOG’s ideas. Still, putting the reforms into common practice may take years. One of the biggest impediments is insurance reimbursement. Currently, payment for prenatal care, delivery and a single post-birth visit is bundled together into one global fee, creating a disincentive for doctors to see patients more than once, Auguste said. The disincentives are greater for women on Medicaid, which pays for about half of U.S. births. What’s more, in many states Medicaid coverage ends at two months postpartum. The ACOG opinion didn’t estimate the cost of implementing its recommendations. Brown agreed that revamping how postpartum care is reimbursed is critical, and insurance representatives — along with members of other medical specialties — were on the ACOG task force that drafted the new guidelines. “I want to make sure that I get some employee health plans and some health systems to adopt this nationally,” Brown said. Indeed, although the guidelines are aimed at OB-GYNs, they would require changes throughout the maternal care system. That’s what ACOG is hoping for. “It’s really a societal call to action,” Stuebe said. The magic of a family asking for a clear drape. "Prompt administration of oxytocin after delivery helps reduce the risk of maternal postpartum hemorrhage, while the bolus of placental blood delivered by delayed umbilical cord clamping provides benefit to the infant by increasing hemoglobin and hematocrit and reducing the incidence of iron deficiency during the newborn period.There were no such adverse events that reached the level of clinical relevance among any of the mothers or infants in the study population, she said." Of all the ways birth outcomes could be improved, continuous labor support seems like one of the most important and basic needs for birthing people. Providing labor support to birthing people is both risk-free and highly effective. Evidence shows that continuous support can significantly decrease the risk of Cesareans, NICU admissions, Pitocin, and medications for pain relief. Labor support also increases satisfaction and the chance of a spontaneous vaginal birth. Although continuous support can also be offered by birth partners, midwives, nurses, or even some physicians, research has shown that with some outcomes, doulas have a stronger effect than other types of support persons. As such, doulas should be viewed by both parents and providers as a valuable, evidence-based member of the birth care team. Controlling for patient-level characteristics, we found that the odds of a woman's having a cesarean were two times higher in for-profit hospitals than in not-for-profit hospitals. We also found for-profit hospitals were significantly more likely to be members of multihospital systems and to have fewer full-time registered nurses and staff members per hospital bed. This research suggests that women who give birth in for-profit hospitals are more likely to have cesareans than women who give birth in not-for-profit hospitals. This information is important to women when deciding where to give birth. Knowing which hospital characteristics are associated with a greater likelihood of cesarean is helpful since hospital cesarean rates may be difficult to find. These findings are also informative for obstetric professionals, who can implement improvement initiatives to decrease cesarean rates and improve the overall quality of care for childbearing women in the United States. Last week the preliminary research results were presented at the placenta lab meeting and were discussed by the team of scientists, obstetricians and gynecologists. · Potentially toxic elements like lead, arsenic and mercury were found below toxicity threshold for foodstuff, regarding to regulations of the European Union. The participants of our study reported no special exposure to these toxic elements. · The preparation of placental tissue has a clear effect on the microbial contamination: dehydration causes a drastic germ reduction, steaming followed by dehydration causes an even greater reduction of microbial species. Regarding to foodstuff regulations of the European Union, no “unsafe” organisms were detected in our samples. · Following hormones were detected in placental tissue: CRH, hPL, Oxytocin, ACTH, estrogenic and gestagenic active substances. The highest concentrations of these hormones were found in raw placental tissue. The hormones were all sensitive to processing. Steaming followed by dehydration caused the highest hormone loss; dehydration alone caused a minor hormone loss and even increased the concentration of progesterone. · Placental tissue is a natural source of hormones, iron and protein. The exact properties of placental tissue composition vary wide in each individual placenta. Ingesting placental hormones may have a physiologic effect in the postpartum period but no conclusion about the bioactivity of these hormones can be made. The risk of food poisoning or intoxication from consuming processed placental tissue is low. · Our findings have to be repeated and verified through a study with a larger sample size. A Lancet commentary trying to explain away the findings of a trial of computerized interpretation of fetal monitoring tracings popped up in CBU’s Google alerts, but we get ahead of ourselves. Let’s start with a look at the trial. The trialists hypothesized that: “a substantial proportion of substandard care results from failure to correctly identify abnormal fetal heart rate patterns, that improved recognition of abnormality would reduce substandard care and poor outcomes, and that improved recognition of normality would decrease unnecessary intervention.” To test that hypothesis, the trial evaluated whether adding color-coded (blue: least severe; yellow: moderate severity; red: most severe) computer interpretations of degrees of abnormality to the display of fetal heart rate (FHR) tracings would improve newborn outcomes and decrease cesarean and instrumental deliveries. The trial was conducted in 24 centers in the U.K. and Ireland and comprised 46,042 women laboring with a singleton or twin pregnancy at 35 weeks’ gestation or more and whose babies had no known congenital anomalies or fetal heart rhythm abnormalities. Participants were randomly allocated to continuous FHR monitoring (cardiotocography) with or without the color-coded decision aid. The trialists state that continuous monitoring isn’t routine in the U.K., but give no information on why participants were being continuously monitored or what percentage of the population they represented. All babies with an adverse outcome potentially related to insufficient oxygen in labor (hypoxia) were evaluated by a panel to determine whether different management might have prevented the adverse outcome. A sample of 6707 children were followed for two years to assess long-term health and development. The trial was big enough to have a 90% probability of detecting a 50% reduction in poor neonatal outcomes from 3 to 1-5 per 1000. Of note, the trialists had to refine their original definition for the primary outcome (admission to neonatal intensive care within 48 hr of birth for 48 hr or more with evidence of feeding difficulties, respiratory problems, or abnormal neurologic symptoms [encephalopathy]) because many of the intensive care admissions for these reasons were due to other disorders, which implies that studies using admission to intensive care as a measure of hypoxia in labor are likely to overestimate its prevalence. As for results, availability of the decision aid had no effect on newborn, maternal, or childhood outcomes. Equal percentages of babies (7 per 1000) experienced the primary outcome (demise during labor or up to 28 days after birth or significant morbidity, including moderate or severe abnormal neurologic symptoms or breathing complications). Rates were virtually identical for a long list of specific adverse outcomes such as Apgar score < 4 at 5 min, low cord-blood pH, need for resuscitation, newborn seizures, or transfer to the neonatal intensive care unit at birth. For women, cesarean (24%) and instrumental vaginal delivery (25%) rates were identical. The same was true for indications for cesarean or instrumental vaginal delivery (18% abnormal FHR; 22% delayed progress; 7-8% combination of both). Equal percentages of births with adverse newborn outcomes were judged to have had suboptimal management (14/35 decision-aid; 13/36 controls). No differences were found between groups in the children followed up for two years. Availability of the decision aid also had no effect on whether clinicians intervened. Cesarean rates according to urgency (immediate threat to life; some threat of compromise; no threat of compromise; elective) were similar. The median (half delivered before and half after) time from identifying severely abnormal FHR to delivery (58 min) was identical and the range nearly so (13 to 264-279 min). Some cases of severely abnormal fetal heart rate were technical errors, for example, the monitor registered the maternal heart rate, which is much slower than the normal fetal heart rate, as the baby’s. Errors of this kind help to explain the relatively lengthy median times and longer durations in the face of seemingly severe FHR abnormalities. In other words, the hypothesis was convincingly disconfirmed. The decision aid failed to reduce cesarean or instrumental deliveries, which means it didn’t improve ability to discriminate non-concerning from concerning heart rate patterns. The decision aid also failed to decrease instances of substandard care which means it didn’t improve ability to recognize severely abnormal FHR patterns. What is more, the aid flunked in a population at higher risk, if the trialists’ assertion that continuous fetal monitoring wasn’t routine is true. Internal monitoring will help by improving the quality of the tracings. It doesn’t (Bakker 2012; Harper 2013). Standardizing definitions of abnormal FHR will solve the problem. It doesn’t either (Rhose 2014). Admission test strips will identify babies already of concern so that they can be monitored continuously while healthy babies go on to intermittent listening, which will eliminate unnecessary intervention. Nope (Devane 2012). Fetal scalp-blood sampling for low blood pH or high lactose content will do the trick by enabling doctors to tell which babies are tolerating labor despite a concerning heart rate tracing. Wrong again (Alfirevic 2013; East 2015). Adding electrocardiogram data will allow better discrimination. Makes no difference (Neilson 2015). This refusal to face facts continues right up to the present day. The authors of the accompanying commentary argue that the decision aid didn’t make a difference because no prescribed actions were attached to its diagnosis. Medical-model thinkers just can’t give it up. Continuous fetal monitoring has to work because it makes so much sense to them that it should. This brings us to why continuous FHR monitoring doesn’t work. It’s because the theory behind it, that insufficient oxygen is the main cause of neurologic injury and death, that heart rate changes reliably warn of impending injury, and that improved ability to distinguish between abnormal and normal FHR patterns would improve outcomes and reduce use of rescue delivery, is wrong on all counts. Ample research consistently shows that the link between abnormal FHR and condition at birth, as measured by such things as Apgar scores, cord blood pH, or lactate, is weak; that the link between condition at birth and abnormal newborn neurologic signs, such as altered consciousness, poor muscle tone, feeding problems, or seizure, is weak; and that the link between newborn abnormal neurologic signs and death or cerebral palsy is weak, which means the link between abnormal fetal heart-rate patterns and severe adverse outcomes is pretty much nonexistent (Alfirevic 2013; Althaus 2005; Chauhan 2008; Graham 2008; Hogan 2007; Lie 2010; Low 1990; Milsom 2002; Murphy 1990; Nelson 1996; Pin 2009; Sameshima 2004; Williams 2003; Yeh 2012; Yudkin 1994). More information won’t change that fact no matter how much you tinker with it. At one end of the scale, you have what everyone would agree is normal. At the other, you have severely abnormal patterns that everyone would agree demand action. Anything in between is reading tea leaves. What’s more, there are many reasons for the disconnect between FHR patterns and newborn outcomes that have nothing to do with hypoxia in labor. For example, the injury may have occurred prior to labor (Badawi 1998; Fahey 2005), in which case rescue delivery can make no difference, or the precipitating event may occur so quickly that rescue delivery isn’t possible, as, for example, with placental detachment (abruption). Other problems such as fever during labor (Lieberman 2000), administering sodium deficient IV fluids or too much sugar in IV fluids, or drinking excessive amounts of fluids can produce the same symptoms as low oxygen, these being high blood lactate, low blood pH, and newborn seizures. If hypoxia isn’t the problem, delivery won’t improve the outcome (Higgins 1996; Johansson 2002; Moen 2009; Philipson 1987; Stratton 1995; West 2004). The problem may also be, as the panel reviewing poor outcomes in this trial found, a failure of response, not identification. Furthermore, the slowing of the FHR and the switch to anaerobic metabolism that eventually decreases blood pH are healthy adaptive responses to suboptimal conditions that function to protect the brain and vital organs from hypoxic injury (Bennet 2009; Fahey 2005; Low 1999; Ugwumadu 2014). One reason low blood pH correlates so poorly with neurologic injury is that the adaptation usually succeeds (Ruth 1988; Ugwumadu 2014). If continuous monitoring were equivalent to intermittent listening, it wouldn’t matter which was used, but it isn’t. Because of its false-positive rate (the monitor says there is a problem when there isn’t), continuous monitoring increases the likelihood of cesarean and instrumental vaginal delivery (Alfirevic 2013). For this reason, both the Society of Obstetricians & Gynaecologists of Canada and the Royal College of Obstetricians & Gynaecologists, the U.K.’s professional organization, recommend intermittent listening as the preferable monitoring method for healthy women and babies, which gives women unimpeachable support for insisting on it. "Unfortunately, it often takes many years before health care providers reliably carry out the recommendations of professional organizations. So, it is important for pregnant women themselves to become informed and take an active role in securing high-quality care for themselves and their babies. This fact sheet summarizes the new guidance to help pregnant women understand and discuss ACOG’s recommendations with their maternity care providers and make informed decisions about safe, effective care. The fact sheet ends with trustworthy resources for learning more and helping women get the care that is right for themselves and their newborns." Read more here. Leapfrog just came out with 2016 statistics, though I'm skeptical of the results as some of the early elective cesarean stats state 0% and I know that's not true as I personally had clients with elective cesareans at several of the hospitals. Also, UCSF and SFGH did not submit their stats. “At 4 years of age, children in the early umbilical cord clamping group had modestly lower scores in social and fine motor domains compared with the delayed umbilical cord clamping group”.